PDC initiated this project with collaboration from Cold Climate Housing Research Center, a local contractor, and a local school district. PDC was instrumental in the concept development and provided engineering services throughout the project. The concept is to combine ground source heat pump (GSHP) technology with solar thermal collectors to enhance the heating performance of the GSHP in the winter. The project stores renewable solar energy on a seasonal basis for extraction and use in the winter months. In the summer months the solar collectors transfer heat captured from the sun to the soil which acts as a large thermal storage mass. By the end of the summer the soil temperature is artificially elevated to a higher temperature then the surrounding soil. In the winter months the GSHP extracts the stored thermal energy from the soil. The higher soil temperature results in increased GSHP efficiency. 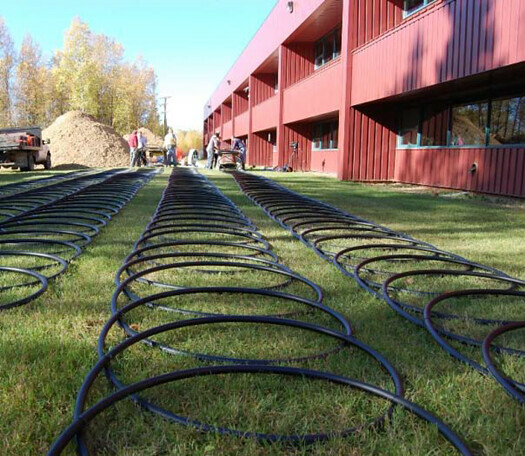 As an added benefit the ground heat exchanger pipes are also protected from potential failure due to localized soil freezing and ground heaving. This situation can occur if too much heat is extracted from the soil in a single season and historically has been a limiting factor in GSHP installations in the sub-arctic regions. A third component of this system, the stratification tank, aims to maximize the amount of solar energy collected while minimizing the amount of equipment, infrastructure and first cost of the installation. The stratification tank can be thought of as a short term storage device (hourly to daily). In a situation where the solar collectors are capturing more thermal energy than can be transferred to the ground part of the heated fluid is diverted to the top of the stratification tank for storage. 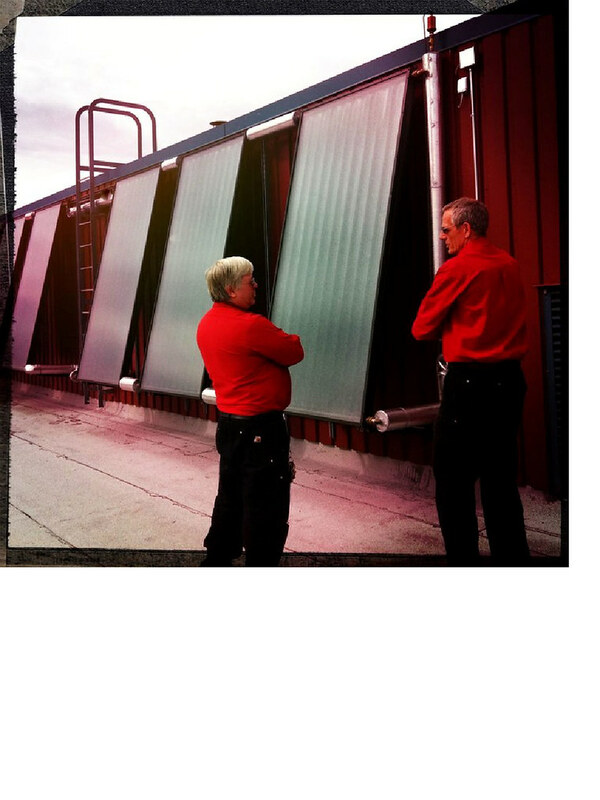 At the same time cold water is drawn off the bottom of the tank to be returned to the solar collectors. Minimizing the return temperature to the collectors dramatically improves their efficiency. When the heat captured by the solar collectors drops below the level that can be accepted by the soil the stratification tank pumps the stored thermal energy to the soil. This strategy ensures that the system is taking advantage of all available solar energy.